This is your chance to live on a BEAUTIFULLY TREED PARK LIKE 2 ACRES with updated home, 36' x 50' SHOP & garage parking for 4 cars! 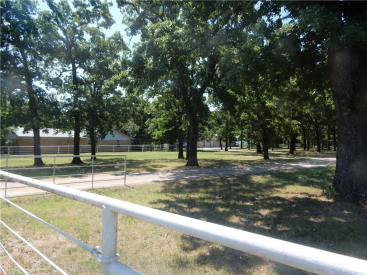 Property consists of 2 one acre lots with house, shop & detached garage on one acre & separate treed acre for future home, barn, horses, etc. Home has updated kitchen & baths, tile floors, granite, open living area for easy entertaining, covered patio, storm windows, metal roof, pipe fencing & cross fencing AND did I mention the 1800 Sq. Ft. insulated Shop with 3 - 12' tall roll up doors & half bath! Lots of concrete around shop & drive for parking cars & equipment.